On-site septic systems are commonly used to treat the waste water produced by rural or suburban homes that are not connected to public sewage treatment facilities. Clearstream septic systems are aerobic treatment tanks that are designed to treat water completely enough so that a septic system containing a Clearstream tank can safely discharge effluent directly into the environment without the use of a formal drain field. Effluent treated by Clearstream tanks is commonly used to water lawns. Clearstream septic tanks can become clogged, resulting in flooding and problems with plumbing. To avoid clogging the tank with scraps of food and other greasy refuse, the Environmental Protection Agency recommends that homeowners minimize the use of garbage disposals. According to the Clearstream owner's manual, homeowners should also refrain from flushing non-biodegradable objects down the toilet, including diapers, dental floss, condoms and feminine hygiene products. Homeowners should also have their Clearstream tanks serviced on time, and in accordance with their maintenance agreement. If a Clearstream tank becomes clogged, the homeowner should call his service provider. Under no circumstances should harmful chemicals, such as drain cleaner, be poured into the system nor should homeowners attempt to manually remove the clog. Like other aerobic septic systems, Clearstream tanks are dependent on the actions of bacteria to function. Aerobic bacteria in the tank remove pollutants and disease-causing agents before the wastewater is released back into the environment. Anything that harms or inhibits the actions of these bacteria may prevent the Clearstream system from working correctly. According to the Clearstream owner's manual, homeowners should not pour harsh chemicals, oils, or grease down drains or toilets, because these can kill the bacterial colonies in aerobic tanks. The manual also recommends that backwash from water softeners not be discharged into the Clearstream system. In situations where bacterial colonies have been harmed, there are a number of products available online designed to support and restore bacterial health. Like other aerobic septic systems, Clearstream tanks depend on electricity to function. According to guidelines published by Texas A&M University, prolonged power outages can affect the ability of the system to properly treat waste water because the bacteria are no longer receiving oxygen. In case of an outage, homeowners should minimize activities that produce waste water until their system has fully recovered from a power outage. If the power outage is longer than one day, homeowners should try to use as little water as possible for 24 hours after power is restored. The system is properly functioning again when the high water alarm stops going off. The Clearstream owner's manual also recommends that homeowners seal the aerator inlet and outlet to keep out moisture in cases where they intend to shut off electricity to the system for a period of greater than three months. There are several signs that can alert a homeowner to problems with his Clearstream septic tank. The most obvious sign is that the alarm is going off. 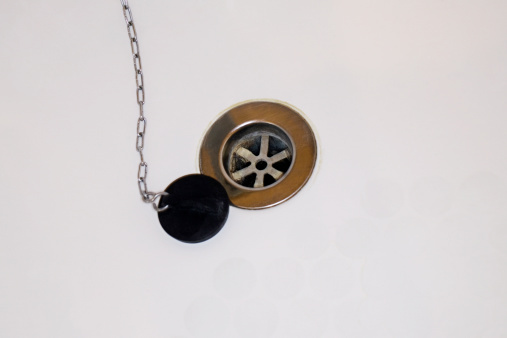 Other symptoms of an unhealthy septic system include slow draining in sinks and drains, which often results from backed up plumbing. Unpleasant odors coming from the effluent may also be a sign that waste water is not being fully treated. Because Clearstream tanks are complex mechanisms, homeowners should not attempt to fix them, but should instead call their service providers and report troubling symptoms. How Does an Outhouse Work?